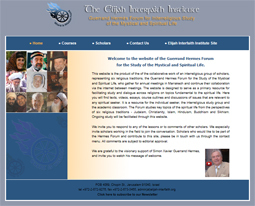 The Guerrand Hermes Forum for the Study of the Mystical and Spiritual Life is one of the ongoing projects of the Elijah Interfaith Institute. It is founded on the intuition that the fields of mysticism and spirituality allow for meaningful exchanges and enrichment across traditions. The ongoing work of the Forum seeks to advance a spiritually based process of learning and sharing, bringing together religious leaders and experts of different traditions to deepen their own mutual understanding and to create resources for others to follow suit. The Hermes Forum was launched in February 2011 and recently held its third annual meeting in Marrakesh, facilitated by the hospitality of Simon Xavier Guerrand Hermes. Between meetings, the select group of scholars from six religions who constitute the Forum continue their work of collating resources, teaching and learning. Taking advantage of the technology available for collaborative work and distance learning, the Forum meets seven times a year for an on-line learning session, in which one of the scholars teaches her colleagues from the perspective of the faith to which she belongs on the theme selected for the year. These sessions are recorded and appear on the Hermes Forum website, forming part of the rich set of resources that are gradually being made available to other scholars, to religious leaders and to interfaith activists. The first meeting was concerned with defining terms and understanding what each of the different religions understands by the spiritual and mystical life. The collection for this topic consists of academic essays, videos of scholars in discussion and lesson plans to accompany the videos, so that they can be used in a classroom or dialogue group setting. The second topic tackled was ‘Entering the Spiritual Life’ and the third was ‘Spiritual Life and Daily Life’. For both of these topics, scholars were asked to contribute sources from their traditions accompanied by a commentary. Scholars from other traditions then responded to the sources and commentaries, saying if and how they resonated with them and whether they found parallels in their own religions. The website has a rich collection of sources, commentaries and responses. The fourth topic was ‘Teacher-Disciple Relations’ (see below) and the website hosts videos of the lessons scholars shared over the internet and the accompanying sources, and will soon also host videos of the most recent face-to-face meeting. Introduction to its work by the host of the Hermes Forum, Simon Hermes. See the Forum in action. Participants in the Forum are scholars and teachers of mysticism and spirituality. They have received the website enthusiastically and recognized its contents as important resources and aids for teaching of mysticism and an enhancement to continuing efforts at interfaith understanding. We encourage you to utilize this website for teaching purposes and to share the news of this release within your networks, departments and communities. 2. The Hermes Forum: Master-Disciple Relations. The teacher heals, restoring lost balances, reaching the depths of the heart, making the heart whole. When we teach and learn from one another, we have the opportunity to heal each other. 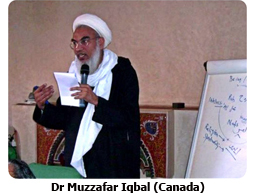 The theme for the yearlong discussions of the Forum during 2012 was ‘Master-Disciple Relations’ and the first day of the 2013 meeting at Marrakesh was devoted to consolidating the lessons learnt. The Forum concluded that a study of master-disciple dynamics revealed some essential truths and helpful perspectives regarding how knowledge, wisdom and the fundamental teachings of a tradition should be communicated. Following are just some of the conclusions. • Listening, deep listening, is the foundation of all learning and is common to Master-disciple relations and to learning across traditions. • Humility is the foundation of the learning process, wherein the disciple recognizes his want and turns to the teacher. In sharing wisdom and learning from one another we do more than learn about the other. Teaching is not a one sided process, but also involves openness to learning from the situation and from the student. Accordingly, learning from one another is an act of humility. Master and disciple are involved in a process of mutual growth. Communication across religions should carry that quality of mutual growth. • Teaching and learning are founded in freedom, the freedom of both parties to engage. Without such profound freedom, the authenticity of the spiritual process is compromised. • Traditional learning involves learning a body of knowledge, but also something that is beyond concrete knowledge, even beyond the cognitive dimension. The experience we share with the other should strive to echo a learning process based on cognitive knowledge, but also transcending it. • The teacher draws on the experience of the student. The teacher is there to bring light, clarity and understanding to the student’s experience. The teacher possesses the language, categories and concepts that provide meaning and direction for the student’s experience. Sharing across traditions, we may find another tradition has the language and category that puts our own experience in clearer relief or that allows us to recognize similar experiences within our own tradition. • The ultimate achievement of the accomplished teacher is to reconnect the student to the divine. Profound interreligious exchange ought to echo the process of such reconnection. To see co-Chair of the Forum, Professor Piotr Sikora, analyse and synthesise the lessons of the year-long discussion, please click here. All these observations are of great significance to all Elijah projects but, in particular, they resonate with the Center of HOPE project which will be a major focus of work for the next few years. Important interfaith work is happening worldwide. However, Elijah’s uniqueness is in its theological sharing, integrating spiritual practice with academic investigation, including featuring prayer at the heart of an interreligious vision. In integrating prayer, study and encounter, Elijah offers a new formula that has the potential to redefine interfaith relations globally. Praying alongside each other, together but separately, is integral to the vision of the Center of HOPE in Jerusalem and, if this ideal can be achieved, it holds the promise of being a sign and a model for others to follow suit. Because of the novelty of the approach and in order to appreciate the potential that prayer provides for coming together, we require reflection on the role of prayer in our religious traditions and on how it could serve as common ground and bridge-builder. Moreover, we must articulate our understanding of what prayer is, why we pray and therefore how we can come together around prayer. Participants at the Marrakech meeting spent close to two days exploring these issues. What follows in the Sharing Wisdom sections are highlights of those discussions. 4. Sharing Wisdom: Finding Inspiration in Prayer. We recognize three interrelated dimensions of how prayer works and how it benefits the individual and society. These can be presented as horizontal, vertical and transformative. 1. Horizontal – prayer is a means for caring for the other, thinking of the other’s needs and wellbeing. It is a means of discovering our common humanity and vulnerability, how all of us are in need and how our needs require one another, even as they require intervention and aid from above. Prayer generates and is founded upon love, and love of the other (friend, neighbour) is fundamentally related to the experience of prayer in all our traditions. Prayer is a means of discovering our deeper bonds and commonalities. It allows us to discover a universal love that makes us aware of the interconnectedness of all people, of all beings. Where our traditions place boundaries on love, containing it within the community or in some other narrow boundaries, this should be considered a secondary accretion, a circumstance of history, rather than something fundamental to our traditions. A collaborative and comparative approach to prayer allows us to recognize such obstacles and to remove them, by appeal to a higher common ideal that is expansive and inclusive in its horizontal reach. 2. Vertical. Prayer elevates us to a higher reality. We usually think of that reality as God, though non-theistic religious traditions might describe it (or their own ideals) differently. Religions often think of the vertical transition as a movement from earth to heaven, from body to soul, from lower self to higher self. Jerusalem in particular is thought of in such vertical terms. Judaism, Christianity and Islam all speak of a heavenly Jerusalem and an earthly Jerusalem. Prayer is the axis along which one moves from one to the other. The fruits of peace, greater love and harmony and the recognition of God in the image of the other are some of the common fruits of such a vertical ascent. Some would say, friendship with God and friendship with our fellow human being grow off each other. 3. Central to the horizontal and the vertical movement is the recognition of prayer’s transformative power. As one grows in love of God (vertical), so one grows in love of the other (horizontal). Such growth in love is the fruit of prayer, because prayer touches the depths of the heart, bringing about transformation. Entry into the depths of our heart allows us to discover the human heart as such, the heart that is shared by all. So too, prayer allows us to grow in wisdom, gratitude and compassion, virtues that condition our attitude to God as well as to the other. Prayer is the primary instrument for purification, expansion of awareness, gaining of an understanding heart, cultivation of love, growth in humility and all the virtues required for reaching out to the other and of growing in closeness to God. Surrender, or self annihilation, and opening up to the divine reality are core to the fullness of the prayer experience. The quest for self annihilation or transcending of self is a common feature of all religious traditions, whether theistic or non theistic. It is the means of filling the practitioner with the energy, flux, light, love etc., of a higher reality. What is common to all contemplative prayer, across traditions, is that the essential core of prayer is to be open and attentive to the reality that is greater than our little “ego” and which dissolves our “ ego-centrism” and enables us to live in communion with all of reality. Naturally, such an open attitude encompasses our neighbor as well. The ideal prayer operates on these three levels, making prayer transformative for the individual, thereby holding the promise that through prayer, practiced at its highest, our communities and societies, can change and grow. Collaborating in such processes would seem to be quite natural and make sense, in view of prayer’s inherent drive to growth, expansion and transformation. If prayer is about making us more aware and open in all directions, inclusion of the other within our horizons, and incorporation of the other within our own self understanding would seem to naturally flow from a true life of prayer. 1. Communal prayer and ritual. This is the most visible and broadly practiced form of prayer. Because this form of prayer is most broadly shared and is most visible, we often mistake what prayer is about with its external manifestation. A presentation at Hope can help redress the balance between what prayer is about and its outward manifestations by recalling the various forms of prayer across traditions. 2. Spontaneous prayer of the individual. This is most often an expression of need and a call for help. Our common humanity allows us to recognize this call, whether it is a call for help in dealing with life and its challenges or whether it is help in purification and attaining a higher spiritual state. 3. Contemplative prayer. This form of prayer is related to meditation, and may also be called mystical prayer, adoration, mental prayer etc.. It is the spiritual core of prayer, often taking the form of an exercise or technique that takes the practitioner through a process. Such processes address the three dimensions of prayer: horizontal, vertical and transformational. While contemplative prayer is closest to the ideals of prayer, described above, all forms of prayer are informed by those ideals. These ideals either inform how other forms of prayers are structured or provide their deep motivation, wherever prayer is more than the call to address an immediate urgency, arising out of a life situation. Prayer is a means for attaining individual peace, through the trust it engenders in being supported and through the growth and transformation it produces. Peace is also a focal point of the conscious intention of many prayers, found in all traditions. These prayers should be highlighted either as part of the museological presentation of prayer and/or as part of the actual prayer practices at Hope, given its goal to spread peace. An interpretive view of the meaning of prayer in our traditions could also suggest peace as one of the goals of prayer in world religions. However, to recognize the commonality of the quest for peace as fundamental to the reality of prayer, and not only as an important need for which one prays, one must identify how peace relates to the broader goals of each tradition and how it is shaped by them. In this way, a common quest is situated within the diversity of our traditions’ particular theological emphases. Thus, some traditions (Judaism and Christianity) could be seen as privileging the will of God and salvation as the goals of their religious system. Peace would be an expression of these goals. Islam views a close relationship between peace and justice, while Hinduism situates peace within a framework of broad cosmic harmony. Peace is closely related in some traditions to personal spiritual evolution. Recognizing what peace means to each of our traditions is important for knowledge of the other as well as for discovery or rediscovery of various strands of thought, usually associated with another tradition, within our own tradition. The web of associations and juxtapositions of prayer with other core virtues and practices- charity, justice, fasting and study, and more – is a two way street. These may be considered as fruits of prayer, even as they provide entry points into deeper prayer. Finally, looking at how peace is conceptualized in the different traditions could lead us to broaden our reference to peace and to think of harmony alongside peace as a goal and an expression of prayer. The piece above is a précis of a section of the report on the 3rd annual meeting of the Guerrand Hermes Forum for the Study of the Mystical and Spiritual Life, Marrakesh, February, 2013, written by Alon Goshen-Gottstein.